Last week was good for the market, which continues to trend higher in the face of a loud chorus of doom and gloom. However, some of that chatter is typical of an old bull market; but a lot of it is guess work by those that invested professionally or financially in the status quo, which is going through an upheaval not seen in decades. The tariff battle is driving the experts crazy because it was supposed to have derailed the economy and stock market by now. Of course, at some point, the market will stall, and the economy will slip, and they can say “I told you so,” and then they’ll join the bears that have been on their soapboxes for nine years and counting. That brings us to all to the big scheduled news for the week, including the employment report on Friday, the potential trade deal with Canada, and the implementation of tariffs on $200 billion in Chinese goods. 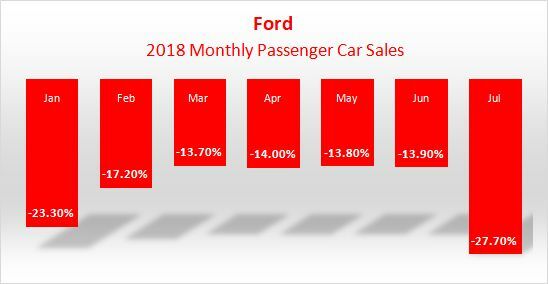 Corporate America continues to use the tariff battle as a cover for deeper problems; the latest example is Ford, which announced the cancellation of plans to import Chinese-made Focus passenger cars (blaming the tariffs). Be careful with these headlines. Many poorly-run companies are blaming tariffs for mismanagement. Ford's issues go beyond tariffs (see here). As it turns out, Ford, which lost $73 million in Europe in the second quarter, will have to spend billions reorganizing those operations and possibly eliminate up to 24,000 jobs. I'm actually impressed that the market has been able to ignore the global currency issues, although I remember that the Thai baht almost derailed the global market. Argentina is taking serious actions, including taxing exporters and instituting price controls, while Turkey’s central bank seems ready to go against President Erdogan. We all remain cognizant of contagion, so it’s important these nations take control of their issues. Of course, the sooner the trade battle is over, the better off the emerging currencies will be, including the yuan. Meanwhile, the People’s Bank of China seems sincere in its efforts to stop the freefall of the yuan to the dollar, although several analysts believe it might be impossible to stop a move through 7.00, a symbolic level that spells trouble all around. Each week, there are major economic and political stories that are barely covered or ignored. Last week, I think it was the continued saga in China’s crackdown on gaming. The financial media has focused on the stocks involved, particularly the tech giant Tencent (TCEHY), the biggest gaming company in China, has seen its shares decline 42% from the January 22nd high, erasing $200 billion in market capitalization in the process. 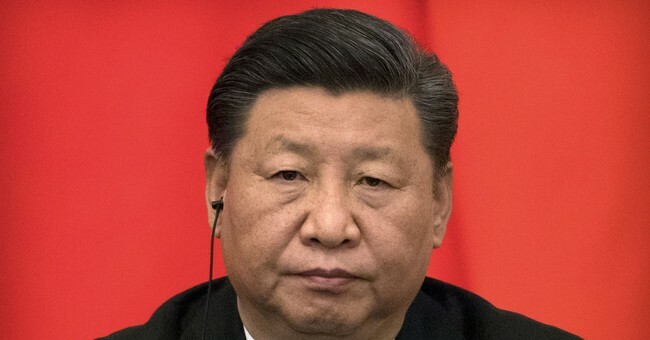 The latest ding came overnight as President Xi Jinping hit the industry again, this time citing “worsening nearsightedness” among minors. Some in the media have pointed out worries of a new subculture addicted to violent content; however, I think this goes much deeper than that. I think China wants to avoid Japan’s mistakes that saw the collapse of its dreams about global economic dominance. It turned into an economic malaise that now has become an economic death spiral. A part of the reason Japan can’t get back on track is the ‘Grass Eater’ phenomenon of young men who have forsaken the hard-charging ways of their parents. Instead of a daily 4-hour commute to work, they stay at home, playing video games at night and sleeping during the day. These young men, now in their late thirties, have small social circles and limited sexual desire. Many have taken to calling them parasites. For sure, this phenomenon has had a massive and negative impact on Japan’s economy. Japan is the second oldest nation in the world after Monaco. A few years ago, adult diapers began to outsell baby diapers. I think one reason Shinzo Abe was elected Japan’s prime minister was to bring back that old vigor – that old samurai spirit. Meanwhile, while Japan is still a major economy, it continues to sink with respect to the global economic picture. President Xi is on a singular mission to make China number one. He won’t be caught flat-footed like the emperor at the onset of the first Opium War, who called out to the barracks to rally the troops, only to find half of them stoned. In 2011, China began looking into eliminating college degrees without economic merit. China is on a mission. It needs its young men in science coats, not huddled in their parents’ basements playing violent video games. I’m sure there are many in the United States that think this is a stereotypical way of looking at gaming, but there is enough concern for a crackdown in China that has taken billions of dollars in value out of its stock market.